Valentine’s Day is the day we celebrate love usually with your partner or spouse and some choose to celebrate with their best friends too. So have you plan how to surprise your partner on Valentine’s Day? A getaway vacation for both of you, romantic candle-lit dinner, bouquet of flowers, presents and… the list goes on. Well, if you are looking for something sweet, romantic and affordable then this with Love album might be the one for your partner. As you know music moves our soul and connects the feelings. The best way to express our love, feeling and emotions is through music. Most of us have some kind of soft spot for certain songs that we can relate. For example, the song of your first dance, first date, the day you met and etc. All that will bring back the sweet memories. I am sure you know what I mean. 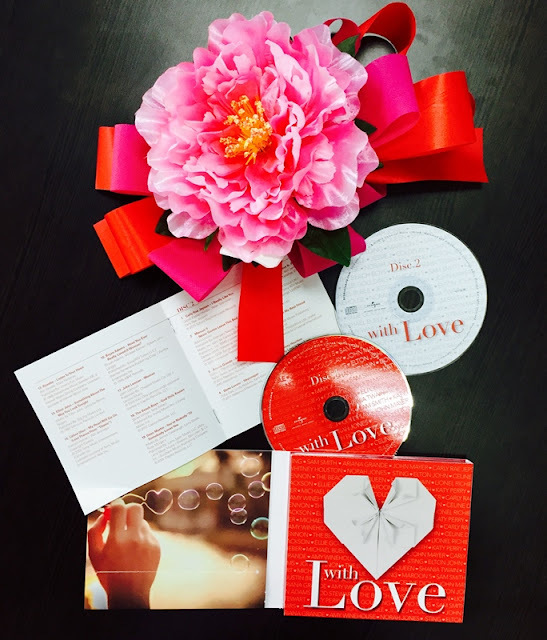 Here this with Love album is packed with 41 romantic songs by Sam Smith, Katy Perry, Ellie Goulding, Ariana Grande, Bruno Mars, Michael Buble, Whitney Houston, Elton John, Celine Dion, Justin Bieber, Robbie Williams and many more popular artists that will moved your heart and soul. I love most of the songs in this album and don’t mind repeating them again and again. Because some of the songs really makes me goosebumps and some I can sing along too. I wish you have a lovey dovey Valentine's Day! Psst... by the way, you can check out and share the entire with Love playlist via Spotify, iTunes, Apple Music and Deezer. So which is your favourite love song? Really good collection of songs with mix of modern and classic songs. i love 'You're My Best Friend' the best! Queen is always the legend! looks like a great album! Would buy it this Valentine's! Such a sweet gift. Perfect for those couple who enjoy listening to love songs. owhhh!!! so lovely to listen to this song at night while enjoying reading my manga.Heart for Roxette song!